*During 2010, due to a new business we opened, we will be able to travel for not more than 4-5 days maximum at each time (usually long weekeneds). 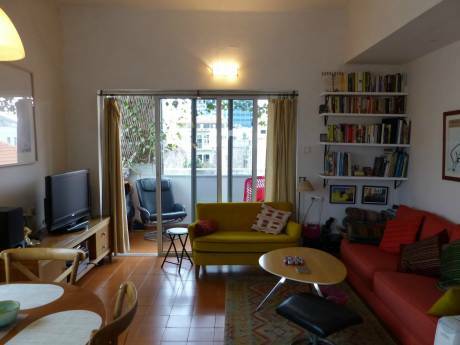 Our home is in lovely, clean and comfortable Bauhaus apartment in the heart of Tel-Aviv. 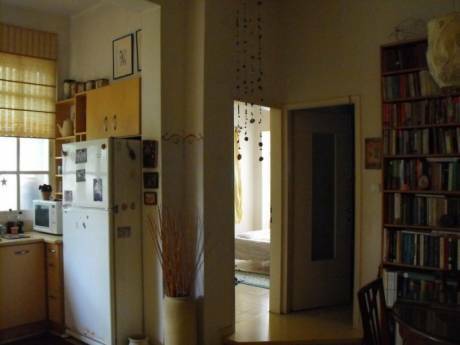 It's in a quiet street with many trees around, living room, bedroom and 3rd room with an office desk and a dining table. A long balcony connects all rooms where you can sit and drink your morning coffee or afternoon tea. The kitchen is a small traditional Bauhaus kitchen. The bedroom with double bed, we can also arrange 2 more mattresses if you are 4. We have internet, computer, copy machine, fax, etc. bathroom with bath tab, separate toilet. The apartment is on the 3rd floor, with no elevator in the building. Also, if you are about to rent a car, parking can be quite difficult to find in the evening/night time so you might need to park in a parking lot near by. We are a couple in our mid 30's. Both of us are architects, friendly, clean and responsible. We do not have children yet, but are planning to have soon enough. We will take care of your home and treat is as though it was ours and hope you will do the same. We would love to hear from you so please email and surprise us. The city is an Unesco Heritage and described by it's citizens as 'the city that never sleeps'. Enjoy the beach, warm and sunny weather, many clubs, bars, restaurants, all the historical sites around the city and the country. 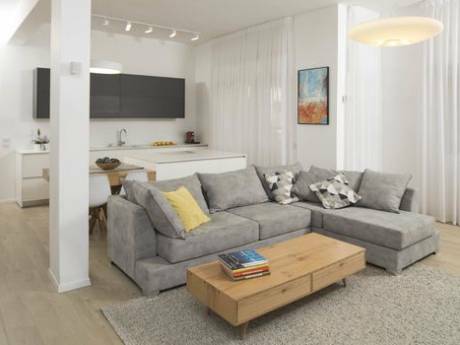 We are within a 10 minute walking distance to the beach and to all main attractions: the Carmel market, Rothschild Ave., Restaurants & bars, the main Shopping Center, the Museum of Art, Opera House, the picturesque Neve Tzedek houses, art galleries etc. In 10 minutes with taxi and excellent public transportation you can go also a bit outside to the old port of Jaffa or to our biggest recreation park and the new port for more restaurants and fun. Tel-Aviv is the best place to stay if you consider a trip around the country ? Jerusalem, the Dead Sea, the Sea of Galilee, Caesarea, Nazareth, etc. If you want to reach Eilat it's a bit farther ? a 4-5 hour drive or use the local domestic airport is a 15 minute drive from our home. From the International airport, just take the train or bus to the center of Tel-Aviv.